In Tonson-Labs we are very experienced with camera sensors from all types. 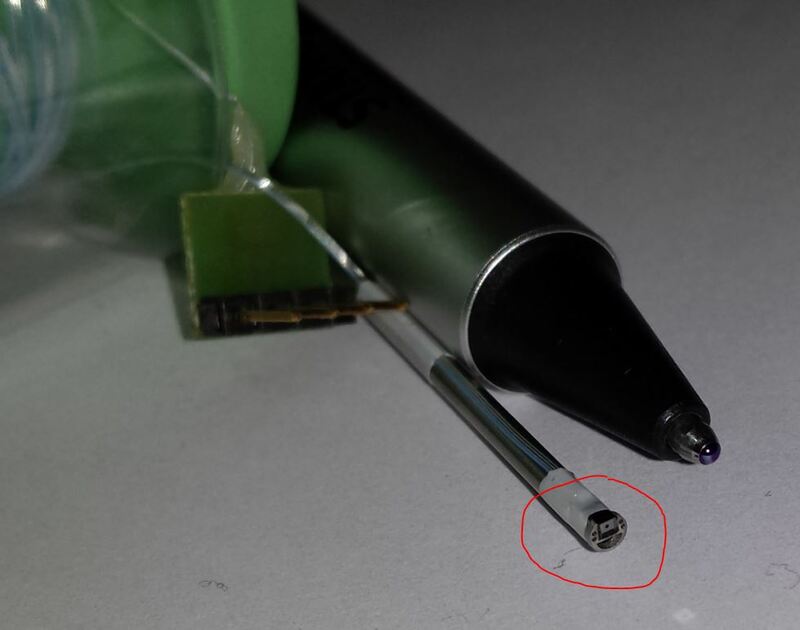 Below we can see a CMOS sensor (marked in red circle) sitting next to a pen. This sensor is then packaged in a rigid tube, that allows it to enter the body. The sensor is equipped with a light source so the image will not be dark.